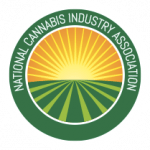 Matthew Kind of CannaInsider interviewed Assurpack founder Nancy Warner, who recently started a packaging firm focused on providing cannabis packaging solutions for primarily infused products manufacturers. While her company is new, Nancy has spent her entire career in packaging after earning a B.S. degree in package engineering from Michigan State and then working within the pharmaceutical industry. 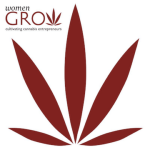 Warner described her transition to the cannabis industry as FDA regulatory changes to pharmaceutical packaging were going to make it difficult for her company. She found inspiration to enter the cannabis industry while on a visit to Colorado in 2014 and decided to begin Assurpack by bringing a patented child-resistant blister card to the cannabis industry. Ironically, Warner’s custom creations for the cannabis industry are now drawing interest from pharmaceutical companies.